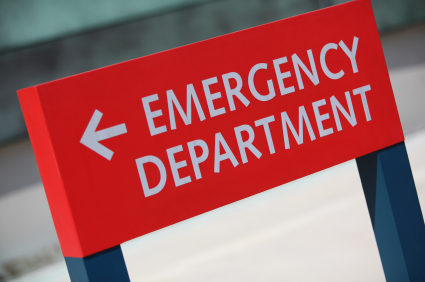 Superutilizers made up nearly one quarter of all emergency department visits in America for 2014. These are people who have made it to the emergency department more than four times in the last year according to an Open Minds report. The consumers who are using the emergency department instead of other methods of care exponentially drive the entire costs of the healthcare system to higher levels. While looking at the average makeup of a superutilizers, they are spread across a relatively diverse demographic, clinical, and socioeconomic conditions. One of the most pressing reasons that superutilizers are going into the emergency department is due to mental health conditions, according to the Agency for Healthcare Research and Quality (AHRQ). The Agency for Healthcare Research and Quality was setup under the Department of Health and Human Services and mandated by Congress to evaluate different health technologies to determine which ones are truly effective. The AHRQ evaluated the technology built by Chicago-based social enterprise Prevail Health, that has developed cutting edge behavioral health technology that started through a partnership with the National Science Foundation. AHRQ awarded Prevail’s technology the highest evidence base rating of ‘strong’, and 94 percent of people going through the program would recommend it to their friends. Although superutilizers in number only make up roughly 2.6 to 6.1 percent of the total number of people going to the emergency department, they equate to roughly 26.2 of all of the visits. Many of the superutilizers are battling one or more chronic condition. A lot of the chronic conditions have an underlying association or connection to mental health conditions. By extending the care of the hospital systems to channels that people are currently using—mobile technologies—it provides an opportunity to provide some form of care to people and act as a buffer before they enter the expensive four walls of the hospital. Prevail’s model is exactly that: the ability to cast a wide net through a population behavioral health methodology, providing access to anonymous 24/7 peer support, and then triaging the Users into the most appropriate level of care. The level of care could be the clinically proven, powerful behavior change programs that were built with a proprietary content management system from the ground up in coordination with a leading team of doctors throughout the country, other resources that the hospital provides, or for the highest acuity cases a warm pass off to the intake coordinator with the initial clinical and demographic assessments already completed. Through this care concierge, Prevail helps to alleviate the already overburdened hospital systems from the estimated quarter of people filling the rooms with behavioral health conditions. This also helps payers, both public and private, to allow populations to first use a lower cost technological solution before entering one of the most expensive parts of the healthcare system, the emergency department. Interested to find out more about Prevail, or to try it yourself?